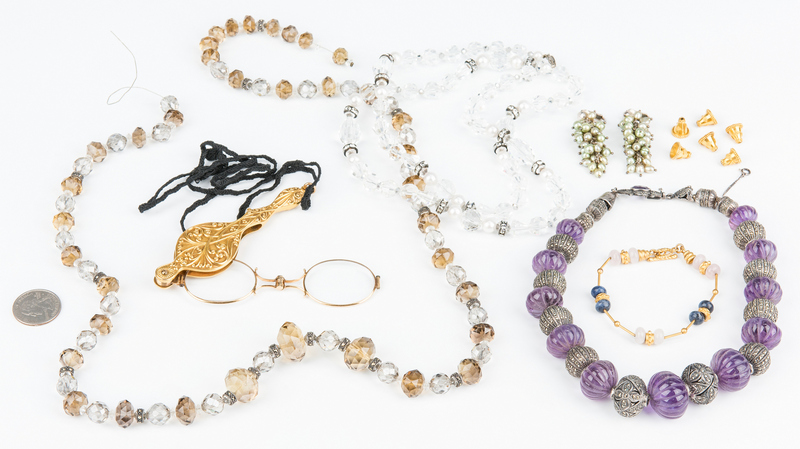 7 items assorted jewelry. 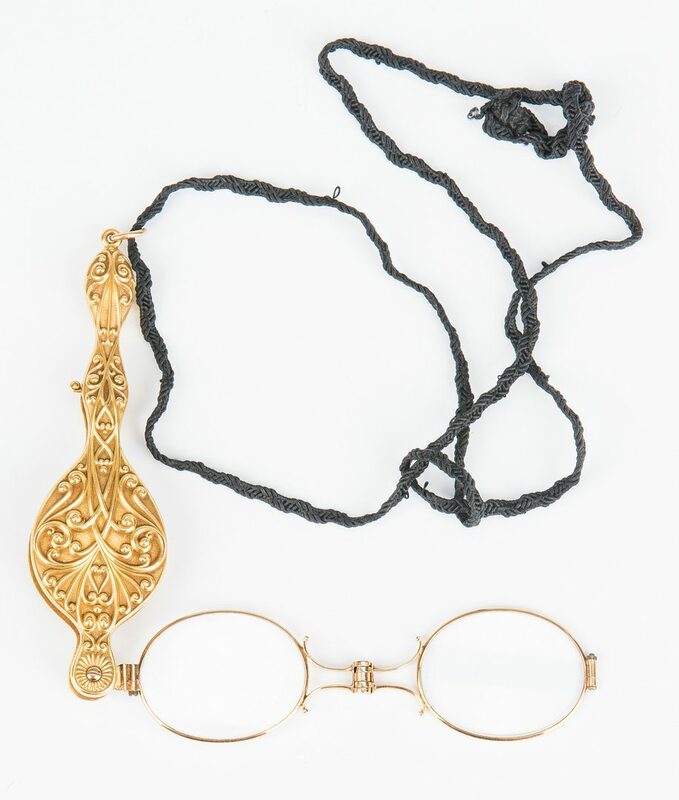 1st item: Yellow gold Victorian folding lorgnette with cord, acid tested, not marked but holds at 10k, 4" L closed, 33.1 grams complete. 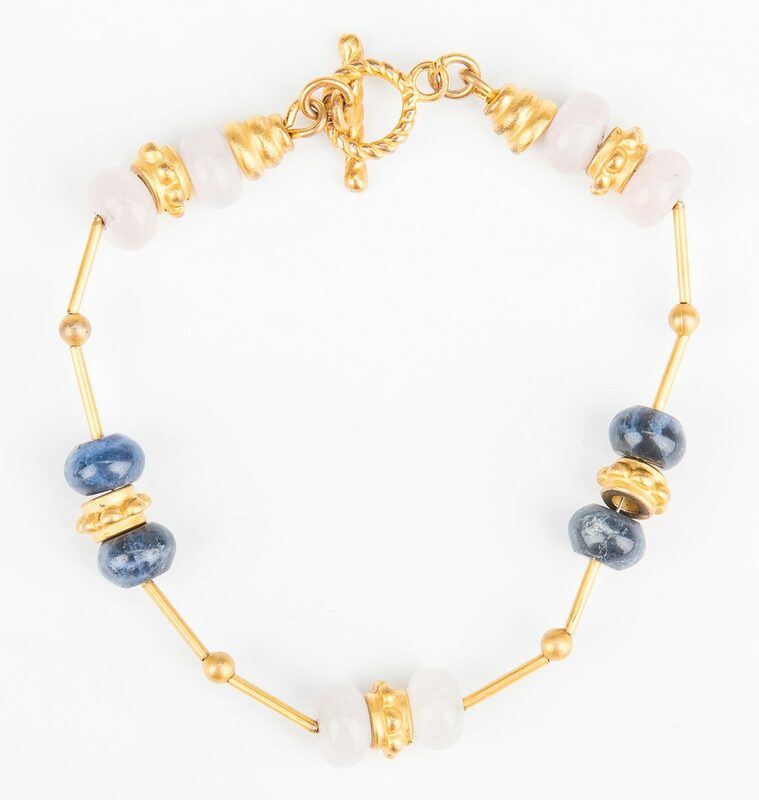 2nd item: Group six 14k (tested) yellow gold necklace spacers, 3/8" L each, 8 grams together. 3rd item: Sterling silver, marcasite and graduated carved purple stone, possibly amethyst, beaded choker necklace, 16-1/4" L with safety chain. 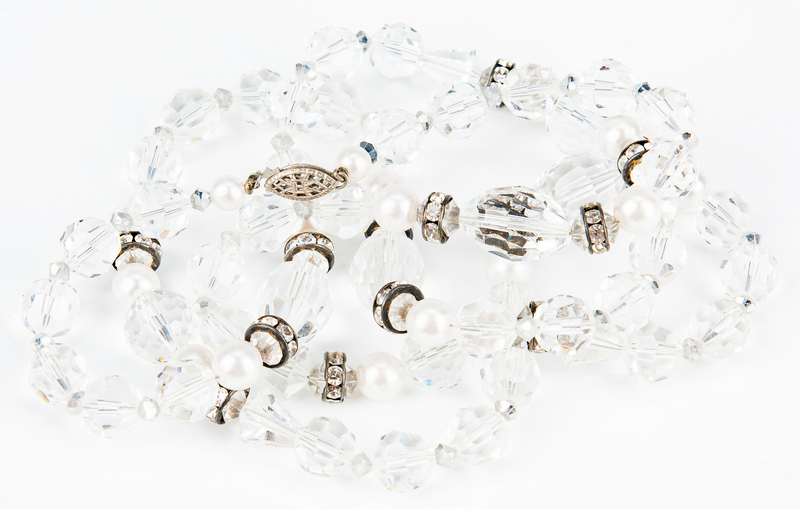 Clasp marked 925. 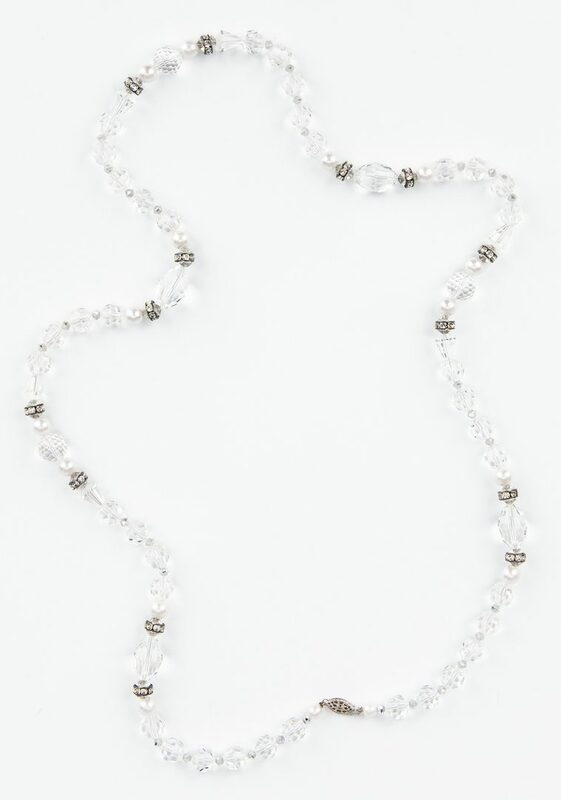 4th item: Faceted crystal beads, marcasite spacers and faux pearl necklace with sterling silver filigree clasp, 34-1/2" L. Clasp marked Sterling. 5th item: Faceted clear and brown crystal beads and marcasite spacers necklace, string broken, plus approximately 19 loose beads. 40" L (approx.) when restrung. 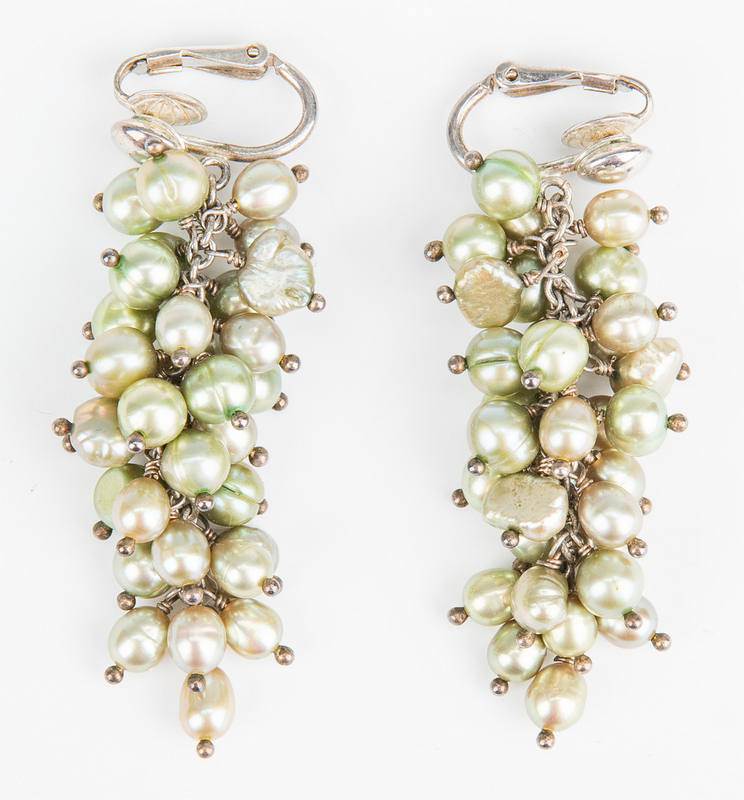 6th item: Pair green freshwater pearl cluster dangle earrings with sterling silver clip-back mountings, 2" L. 7th item: Gold-plated quartz bead and lozenge bracelet with toggle clasp, 7-1/2" L. Provenance: Private Knoxville, TN estate. CONDITION: 1st item: Very good condition. 2nd item: Overall good condition. 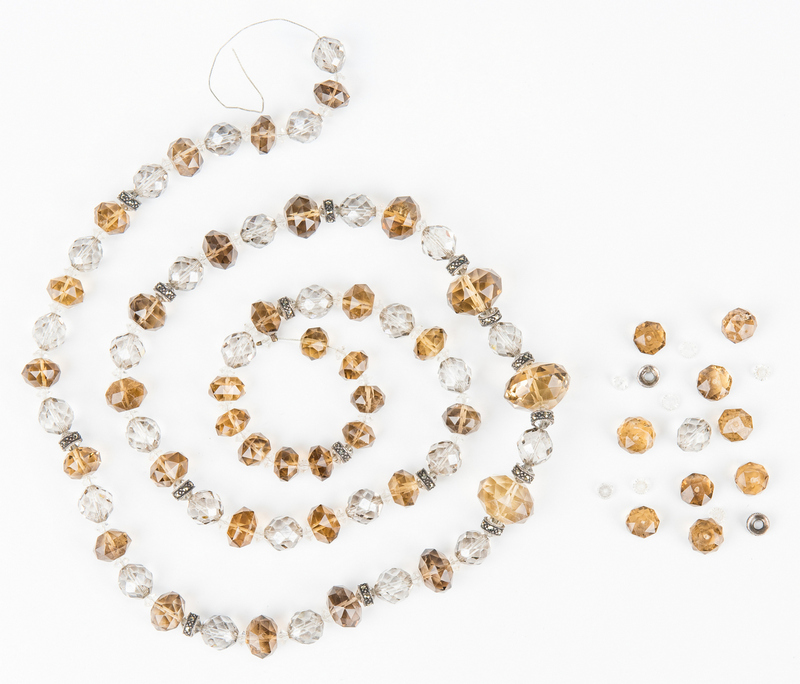 3rd-5th items: Surface grime and some minor abrasions to beads. 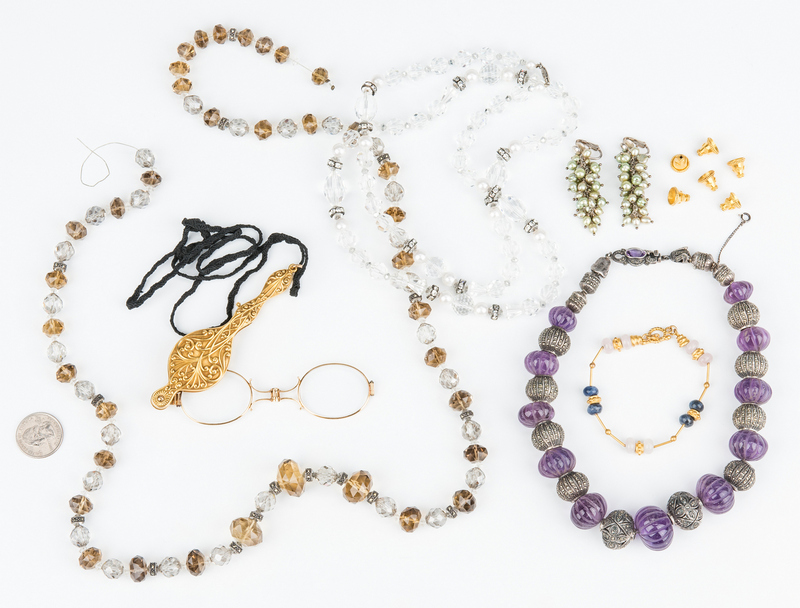 6th item: One pearl missing. 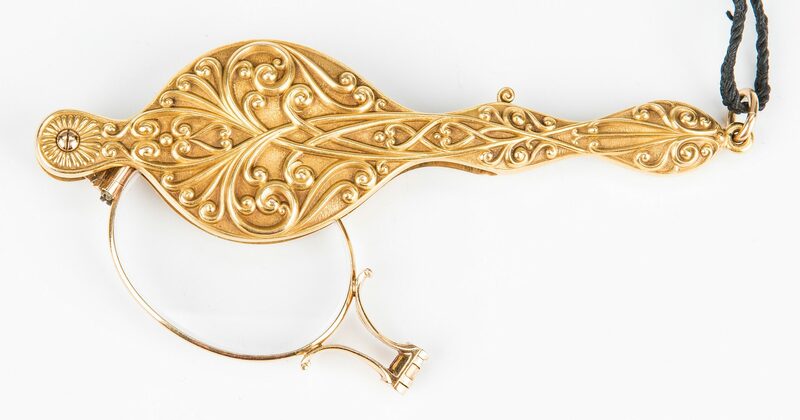 7th items: Minor wear to gold color.